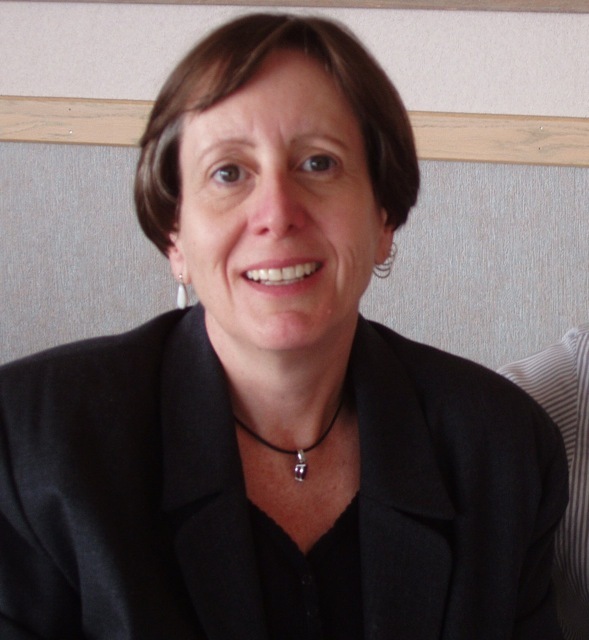 Today I have a guest post from Catherine Ryan Hyde! Author of Jupstart the World. Okay. Elephant in the room. I write about topics that some would call controversial. In Becoming Chloe, for example, I share a story about a friendship between a girl who’s been the victim of repeated sexual abuse and a young gay man who hustles for their survival. In The Year of my Miraculous Reappearance, I tell the story of a 13-year-old alcoholic who’s raising herself, her Down Syndrome brother, and her alcoholic mom. In this most recent book, Jumpstart the World, my protagonist falls in love with an older man who, she later learns, is transgender. And, yeah, I guess that’s controversial. Yet time and time again people read these books and tell me it’s clear that I’m not exploiting or sensationalizing these topics in any way. So, what are we really saying when we say the subject of a book is controversial? In my opinion, we just mean it makes people a little uncomfortable. And that’s okay with me. Because I really don’t feel it’s my job as an author to help people remain safely within their comfort zones. I think good books should change people. Shake them up a bit. Make them look at the world in a new way. Make them look at the people around them with different eyes. Now, how are you going to do that without ever experiencing the discomfort of something new? It reminds me of the André Gide quote, “In order to discover new lands, one must consent to lose sight of the shore.” In real life, with real lands, this requires extraordinary courage. As words on a page, I trust my readers to handle it. So that’s why I choose the tough subjects. That, and this: For every character I write, thousands, even millions of young people are out there living the same issue. The world is full of gay and transgender people. And teenage alcoholics. And girls (and boys) who have been sexually abused. What happens to them if they can’t find themselves in literature? How much harder is it to be yourself if nobody else’s self seems anything like you? And for those who are not living the issue, familiarity equals normalcy. When you are unfamiliar with something, it seems frightening. But if you find out that someone you know very well is going through one of these issues, it begins to feel…well…normal. Fiction can foster normalcy, which can increase acceptance. It really can. I’m not giving it too much power. I don’t think it’s possible to give too much power to words. Communication is the most powerful tool we have. It’s the way we learn to live with each other. So I write about things that may feel strange to you, but in time they won’t. And, in a very small way, that’s changing the world through books. And that’s what I want to do. Thanks Catherine! It is really cool to see authors with such deep conviction! 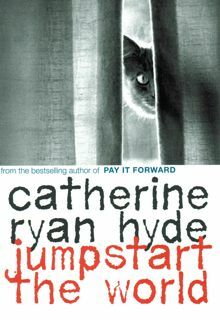 I have a copy of Jumpstart the World to giveaway as well! So leave a comment with your email by Nov 15 to be entered. U.S. only sorry! Very well said, Catherine. I'd love to give Jumpstart the world a read. WOW!! This definitely sounds interesting. Please enter me. I like that the author picks current topics our society is dealing with.